A Heriz Carpet (FS31/913) offered in our Two Day Fine Art Sale starting on 12th July 2016 at our salerooms in Exeter, Devon. Bearnes Hampton & Littlewood's Summer 2016 Fine Art Auction includes a larger than usual section of Eastern carpets and rugs. Principally formed by one collector in the South Hams, the particularly interesting examples are a Kazak rug (FS31/909) with an estimate of £300-£400, a Lenkoran runner (FS31/910), estimated at £500-£800, and a Heriz carpet of good size, which should realise £1,500-£2,000. 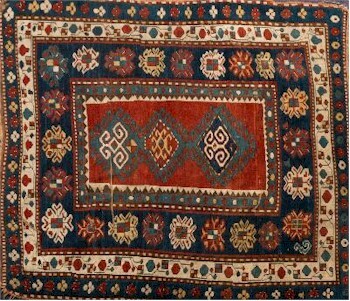 A Kazak rug (FS31/909) is one of the many Eastern rugs on offer in the sale. 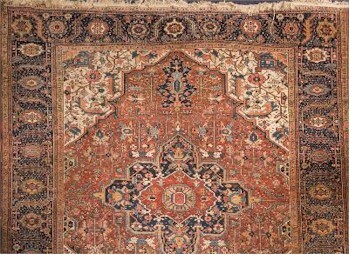 A Lenkoran runner (FS31/910) is another example amongst the many fine rugs and carpet being offered for auction in Exeter. The furniture auction has a good selection of oak and country furniture including six early 19th Century stick back Windsor elbow chairs (FS31/960) with a pre-sale estimate £1,500-£2,000; two refectory dining tables (FS31/961), one being a Dutch oak draw leaf with an estimate of £600-£1,000, the other an oak and chestnut refectory table measuring some 12ft 3in in length, which has been known in the family who are consigning it for sale as the 'Drake table from Buckland Abbey'. It should realise £1,000-£1,500. There is a good 19th Century elm curved high back settle (FS31/974) estimated at £600-£800. 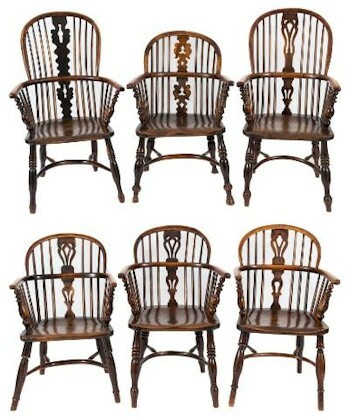 These six early 19th Century Stick Back Windsor Elbow Chairs (FS31/960) carry a per-sale estimate of between £1,500 and £2,000. 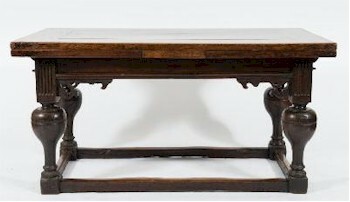 A 17th Century Dutch Oak Draw Leaf Dining Table (FS31/961). 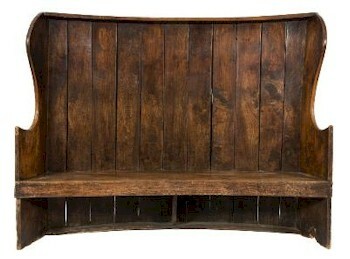 A 19th Century Elm Curved High Back Wing Settle (FS31/974). An unusual 19th Century mahogany and upholstered patent adjustable wing armchair (FS31/1052) with a £300-£500 pre-sale estimate, but if you prefer the 20th Century for armchair comfort then there is a pair of 'Everest' white leather armchairs and a similar stool (FS31/1097). 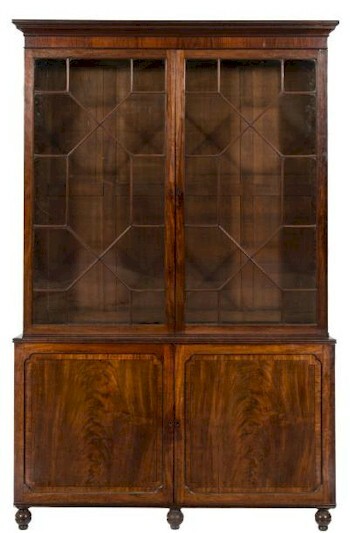 An Early 19th Century Mahogany Library Bookcase (FS31/1028) has a pre-sale estimate of £1,000-£1,500. 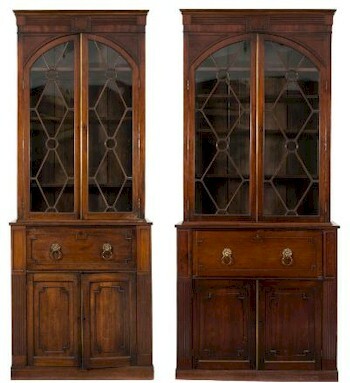 Two Matching Early 19th Century Mahogany Secretaire Bookcases (FS31/1027) are being offering with an estimate of £2,000-£3,000. 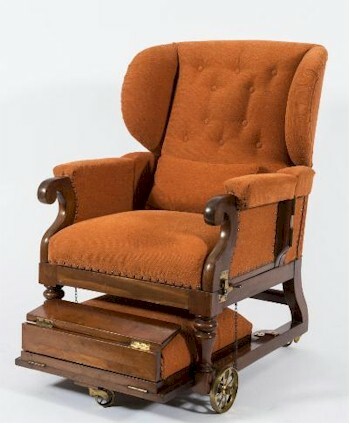 A 19th Century Mahogany and Upholstered Patent Adjustable Wing Armchair (FS31/1052). 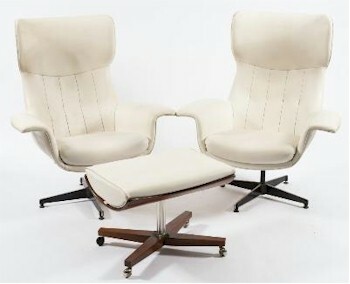 A pair of 'Everest' White Leather Swivel Armchairs (FS31/1097). 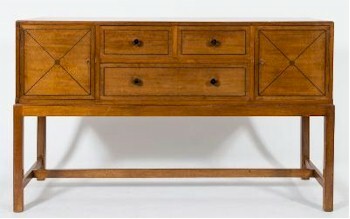 Staying in the 20th Century, a Heal and Son sideboard (FS31/1094) estimate £300-£400 and an oak tea trolley by Robert Mouseman Thompson (FS31/1095) estimated at £400-£500 provide two examples of high craftsmanship. Finally, an elegant and decorative 19th Century satinwood cylinder fronted bureau bookcase (FS31/1091) should realise £1,500-£2,000. 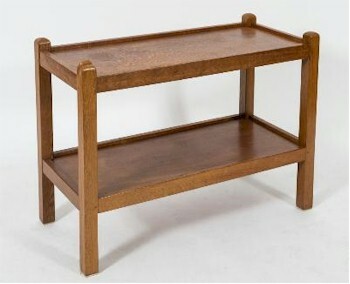 A Mahogany and Ebony Strung Rectangular Sideboard (FS31/1094) by Heal & Son Ltd.
An Oak Rectangular Two Tier Trolley (FS31/1095) By Robert Thompson of Kilburn 'The Mouseman'. 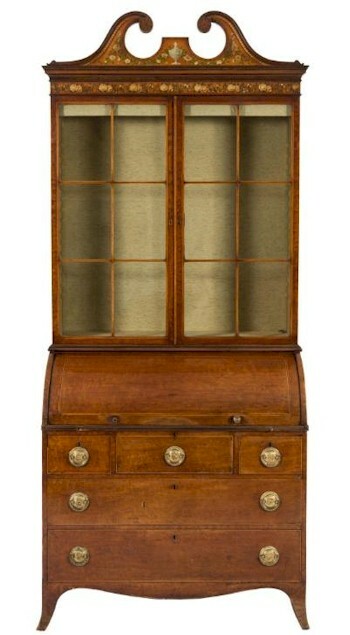 An Early 19th Century Mahogany, Satinwood Decorated and Inlaid Cylinder Fronted Bureau Bookcase (FS31/1091).